When you’re just starting your ecommerce business, it’s really important that you find the right tools that will make it easier for you to grow. When your business grows, however, you soon realize that some of your most important tools, such as your email marketing tool, just isn’t able to grow as rapidly as you need to with a high ROI. You may not even realize all the limitations that your current generic email marketing tool currently has. These can seem like separate problems your brand is facing, but it’s all related to how limited your current generic email marketing tool actually is. Graduate to smarter marketing automation with a free 14-day trial of Omnisend. Once you can address these email marketing challenges, you can avoid or improve them, and finally get the results to really allow your brand to grow. 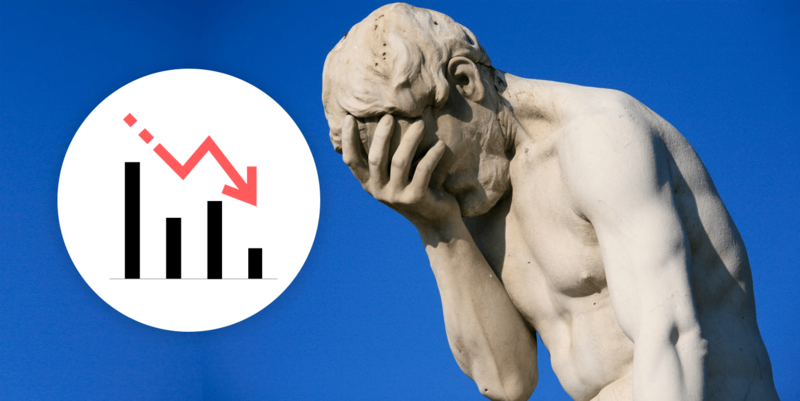 We’ve narrowed down the 6 most problematic areas of your current generic email marketing tool that’s really affecting your ability to grow your sales. While they may seem small in part, when you put them together, you get a comprehensive picture of the serious gaps in your marketing strategy that’s causing you to lose customers and revenue. When it comes to getting to know your customers and having them feel like you are speaking directly to them, your generic email marketing solution falls short. After all, personalization is more than just adding *|FNAME|* in your emails or subject lines. It’s about being able to identify a user by how they behave—how you got the customer, what they bought, when they bought it, which pages they visited—as well as about who they are: what city or country they come from, how old they are, their gender, etc. When you have all this information in a comprehensive picture using good segmentation and automation, you can personalize your entire message and workflow, not just add a first name. When you personalize your messages—I mean really personalize it, to where you’re actually talking to a person—your customers will know it, and you won’t just get better engagements, you’ll also see better sales. Chances are, you’re paying quite a bit for your generic email marketing solution. And that’s probably because you know the adage: “You get what you pay for.” Here, it’s logical: you pay a lot to get a lot. But—when was the last time you looked at what you’re really getting? What value is your generic email marketing solution really giving you? How are your open and click rates compared to industry averages? Because open and click rates are just vanity metrics if you don’t have the sales to back them up. When we’re talking about value, we’re talking about ROI. This means not just industry-leading open and click rates, but also campaigns that lead to 47 times higher order rates. Cart abandonment emails are some of the most important messages you can send. 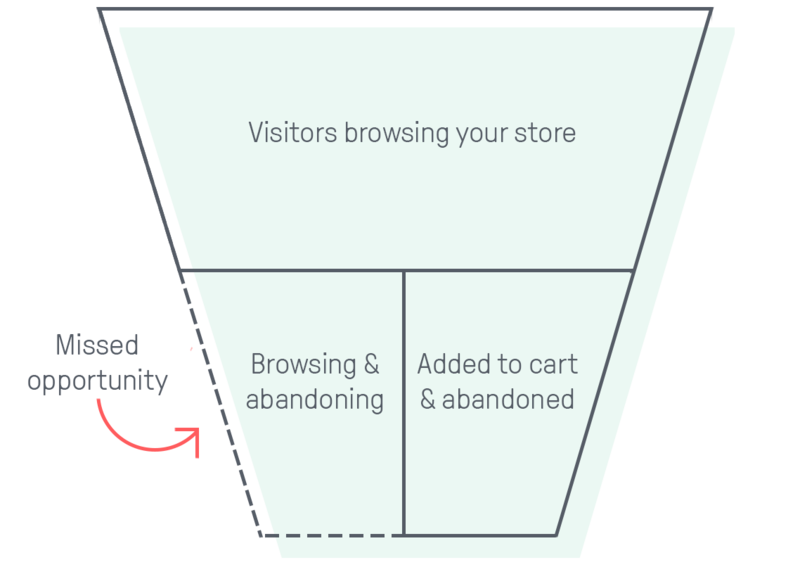 But if you’re just doing the generic cart abandonment emails—where you only send them out if they abandon at checkout or after they’ve added to cart-—then you’re leaving a lot of money on the table. The truth is, about 50-80% of your customers are abandoning pages before they’ve even added anything to cart. That means that most of your potential customers don’t even make it to your checkout flow. This is one of the biggest limitations of your generic email marketing solution: you can’t send messages to all of your true abandons, because you simply don’t know who is truly abandoning your store. Because those are the customers who really abandoned your store. The people who have a high intention to buy but they were interrupted, or it wasn’t the right time, or they need a slightly better price, or they just need to be reminded of how great your products truly are. With your limited generic email marketing app, you just won’t get that chance. An ecommerce marketer’s only real tool is his data. A big limitation of generic email marketing solutions is that they simply have limited available data. Sure, you get opens, clicks and how many people abandoned your cart or checkout, but does that really help you understand your customers? After all, the more data you have on your customers, the better you can cater your messages and workflow for them. But if you have inadequate data, you have an inadequate workflow, and you’ll have an unoptimized sales funnel. How does your generic email marketing tool match up? Chances are, you’re missing some valuable data that’s stopping you from really growing your sales. Does your generic email marketing tool make it easy for you to get back customers that haven’t bought from you in a while? It’s normal that your customers will come and go, but if you don’t have adequate customer reactivation workflows, you will definitely lose all of them. After all, just because you haven’t heard from a customer in a few months, doesn’t mean your customer shouldn’t hear from you in a few months. You need to be active in keeping them around for longer. With a great marketing automation tool, you should be able to set up workflows that allow you to communicate to your more inactive customers at certain points. Again, this depends on the data your email marketing tool is collecting (which, as we mentioned before, probably isn’t adequate), but you should be able to see when a customer is inactive and automatically activate them. When your business grows, you need to make sure that your team and your tools grow with you. Generic email marketing tools are by default generic, limited, and not particularly powerful. This situation is compounded even further when you have an email marketing tool that’s not actually designed for ecommerce. It’s made for everyone. It’s made for bloggers, for social media influencers, for religious organizations, and it’s also made for ecommerce businesses. And while that’s good for beginners and getting your footing in ecommerce, it’s not strong and flexible to grow with you when your needs change and expand. And that’s natural—when you try to please everyone or make something for every single group, you’re not laser-focused on making the best for any specific group. 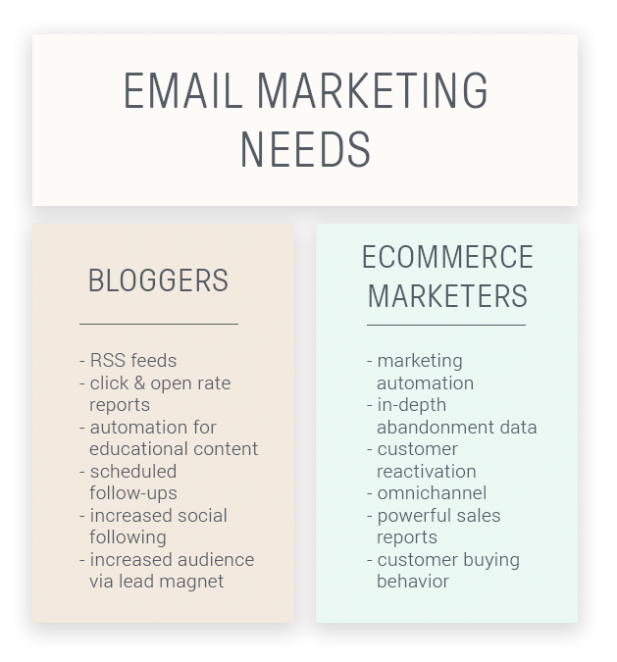 Generic email marketing tools that are made for both bloggers and ecommerce marketers are not going to have powerful-enough features for either group, because both groups needs specific and different things. What you can’t afford now is to be constrained by your generic email marketing tool. What you need is an email marketing tool that can not just grow with you, but is in fact the main reason that you’re able to grow in the first place. You don’t have to be stuck in the generic email marketing rut. 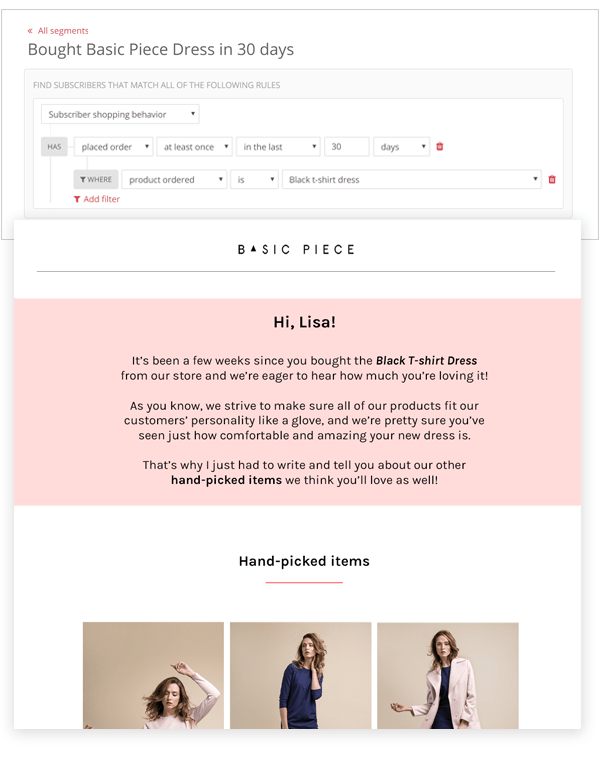 There’s much more to marketing for your ecommerce store than the basic personalization and standard email features. 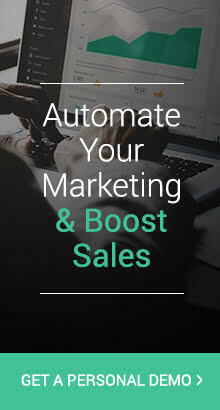 Get started today with a free 14-day trial to Omnisend’s ecommerce marketing automation platform and see how you can graduate your marketing. You are definitely right about tip #1. A few months ago I haven’t even heard about email personalization until I recognized all the benefits my business can take from it. And I must admit the sales are growing! So I recommend everyone pay attention to this issue. 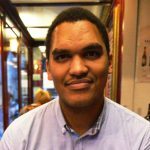 Noah, I agree with your recommendation, we have noticed the same for our e-commerce client.. as soon as we personalize the email and target the ad campaigns we saw a boost in the conversion rate.